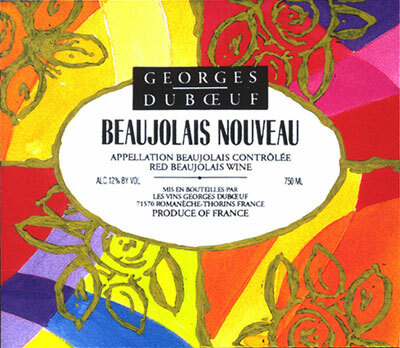 Judging Beauloias Nouveau is just like watching the Westminster Kennel Club dog show on ESPN. 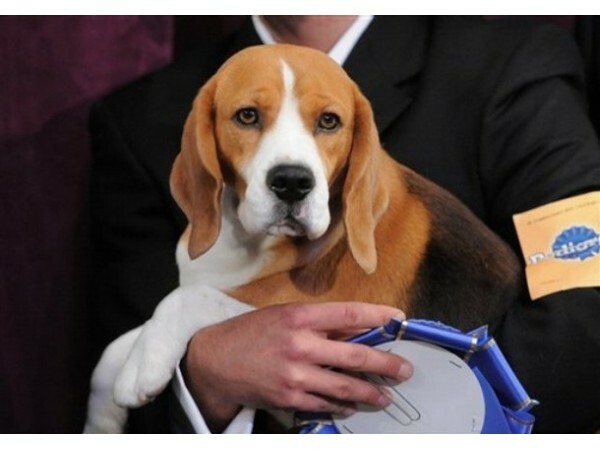 In the Best of Show competition Beagles compete against Huskies and French Poodles. How do they decide one winner? Well, as I understand it, each dog is judged against the perfect specimen of its own breed – much like Plato’s Theory of Forms (for you philosophy majors that stumbled across this blog by googling “Plato – Beaujolais Nouveau -Westminster Kennel Club). Everyone at my party had a different opinion of which wine was the Best in Show. There were a couple of very good true Beaujolais wines, two solid Italian wines, and many people also liked the Primeur Syrah. So what would Plato do? (start making those WWPD bracelets). 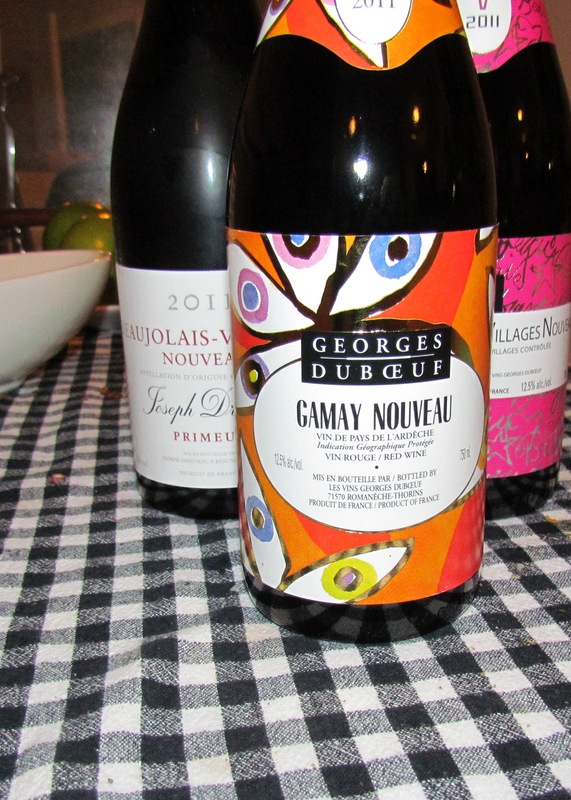 In the spirit of Nouveau (a decidedly French word) I eliminated the Italian Novello wines – even though they were probably the best wines – and selected Georges Duboeuf Gamay Nouveau as the winner. The Gamay Nouveau was light, juicy, delicious, one-dimensional – the perfect Nouveau to sip while sitting in a cave watching shadows . 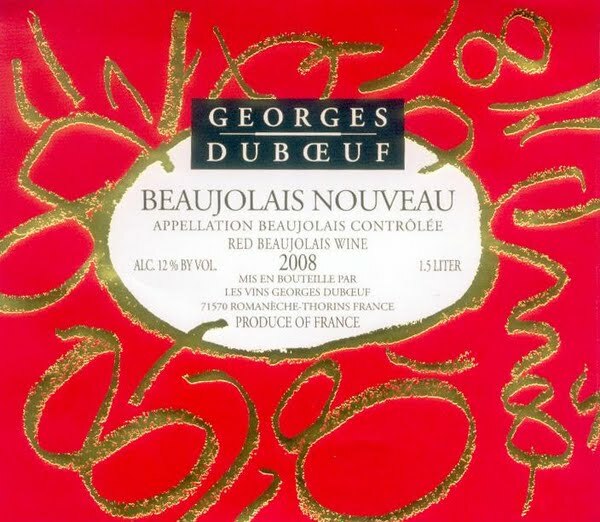 If anyone wants to argue the point then I dare you to bring a bottle of Nouveau, or “Nouveau”, over to my house and change my opinion. Bring some crackers and cheese too. In case you forgot, the release of Beaujolais Nouveau is next Thursday. This arrival of the “cookie dough” of wine is one of my favorite events. Even the label garners some international hoopla. Many (you know who you are) would argue that the label is the most interesting part about the wine. Not me. Cool label. I’ll let the Dubœuf PR department take it from here …. 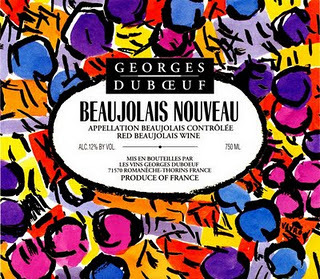 “It’s a bold new pairing for Beaujolais. 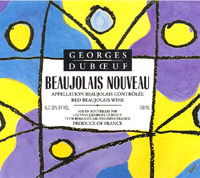 French wine producer Georges Duboeuf has collaborated with renowned Brooklyn artist Michael McLeer, a.k.a. 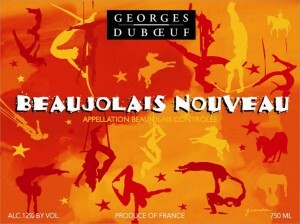 Kaves, to create Nouveau Expression, a celebration of creativity, self expression and enjoying the moment, to coincide with Duboeuf’s release of the 2011 Beaujolais Nouveau. A multi-talented artist specializing in graffiti, tattoo, music and film, Kaves designed a unique, graffiti-inspired urban celebration for the 2011 label. The first Vintages Holiday catalogue arrived in the mail yesterday! It actually sat in the mail pile for over 2 hours before my wife casually mentioned that “the LCBO Christmas catalogue arrived today“. I squealed with delight, grabbed a Sharpie and tucked in. In between the Don Pérignon gift set ($230), the magnum of Rioja (LAN reserva $40) and the enormous Chianti (Da Vinci 5000 mL) I found my favorite page. “Save the Date! 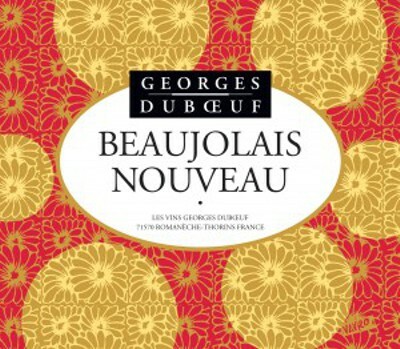 Beaujolais Nouveau arrives on Vintages shelves November 17” – Beaujolais Nouveau! 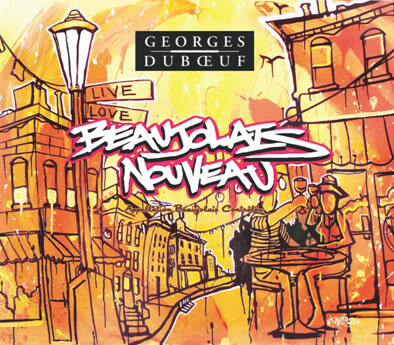 I love Nouveau. It marks the beginning of Christmas celebrations in our house. Fresh, fruity, effervescent – it’s a wine for the masses. Now I work at being a wine snob as much as the next guy but I can’t help but be happy about this simple wine inexpensive wine. It’s just fun for me – and hey, if wine isn’t fun then you shouldn’t be drinking it. Also, after drinking Nouveau for a month that magnum of LAN and the 5000 mL Chianti are going to taste really good.